Can we manage dual use of smoking and vaping more effectively? Although most smokers want to quit, many of those who begin vaping continue to smoke. We recently probed this perplexing ambiguity and explored dual use of cigarettes and electronic nicotine delivery systems (ENDS) . In this blog, we summarise our findings and consider interventions that could encourage smokers to transition completely to vaping. Many smokers report regretting the fact they smoke [2, 3] and each year, around two thirds of New Zealand smokers make at least one quit attempt lasting between 24 hours and one week . The advent of electronic nicotine delivery systems (ENDS), which can closely replicate smoking actions, has fostered hopes that ENDS will facilitate these quit attempts, accelerate smoking cessation, and therefore improve the health of many New Zealanders. It could also support the realisation of New Zealand’s smokefree 2025 goal. Dual use, which occurs when smokers do not transition to exclusive vaping, means smokers continue to face serious health risks from coronary heart disease and stroke, even if they manage to substantially reduce their cigarette intake . Evidence from the UK, where researchers have tracked smoking and vaping over time, shows the majority of ENDS users continue to smoke. Given that most smokers want to quit, why do so many continue to smoke after they start vaping? While some period of dual use is likely as smokers transition to vaping, can we shorten that period, reduce the possibility smokers will plateau at a lower level of smoking and not go on to quit, and provide better support to the many smokers who wish to become smokefree? We explored these questions in an in-depth study of 20 dual users, defined as people who reported smoking and vaping at least once a month. Our participants came from a larger sample of 59 vapers, initially recruited to examine vaping practices and vapers’ information needs and expanded to explore sub-groups, such as dual users, in more detail. The 20 dual use participants smoked and vaped regularly (18 smoked at least weekly and 19 vaped at least weekly). We identified four key reasons for dual use. Of these, vaping’s failure to replicate critical smoking attributes was the most important. Several participants reported starting vaping in the expectation it would be a safer, but near similar, experience to smoking. They were disappointed that the physical experience of vaping was not more akin to smoking and felt nostalgic for attributes such as the “hit” of smoking they found vaping did not deliver. We have previously found that smokers develop complex rituals around tobacco consumption, which may be as important as accessing nicotine [6, 7]. Vaping did not allow participants to fulfil these rituals, and participants often reverted back to smoking a cigarette at key moments, such as when drinking coffee or alcohol, or when under stress. Although most participants in our study began vaping because they wanted to quit smoking, some had reframed their initial goal from quitting to reducing their smoked tobacco use. Because smoking at even low levels greatly increases the risks smokers face relative to non-smokers, this rationalisation is problematic and suggests smokers could benefit from advice and support that encourages perseverance and maintains a clear focus on complete cessation from smoking. We also found that a small number of participants turned to vaping not to quit smoking, but to manage the costs of smoking through rationing cigarettes and to navigate smokefree restrictions. Vaping allowed them to manage the inconvenience smokefree policies has created. The final explanation we identified related to the stigma of smoking and emerging experiences of vaping-related stigma. Some participants reported dual use to manage their social interactions: they vaped when with non-smokers who would disapprove of smoking, but smoked in situations where smoking was normative, often due to feelings of embarrassment over their ENDS use. How can full transition to vaping be supported in NZ? Our findings have some important implications for how smoking to vaping transitions could be more effectively supported, and we hope to examine these in our on-going research. First, our study implies that some smokers’ expectations may need better management – smokers expecting vaping to replicate the physical experience of smoking may be disappointed and so maintain some smoking. Smokers hoping to quit using vaping could be encouraged to consider how they will develop new practices that eventually replace smoking rituals. These discussions could take place at the point of sale, and are another important reason why ENDS distribution should be limited to specialist vape stores and pharmacies, where staff with technical expertise and a commitment to smoking cessation are available. 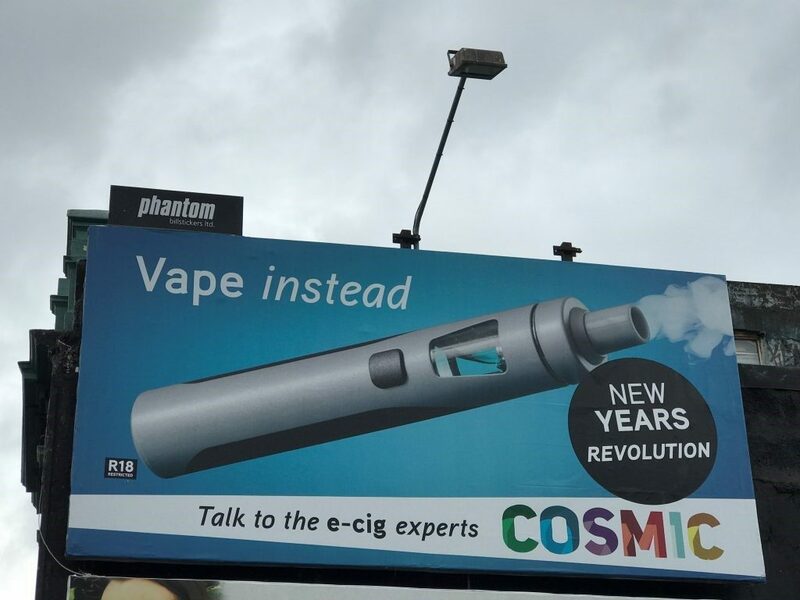 We suggest the Government should act urgently to restrict the sale and distribution of ENDS and e-liquids, which are now being sold by dairies, service stations and $2 stores, where staff are unlikely to have the knowledge to offer practical transition and cessation advice. Second, misconceptions that reduced smoking will bring large health benefits need to be challenged. Again, clear advice at the point of sale could dispel these mistaken beliefs, encourage smokers to quit completely, and assist rapid transition to exclusive vaping. In addition to receiving advice from store staff, smokers hoping to quit via vaping could be given resource material, including links to key websites, where they can find information about vaping. Finally, existing tobacco control policies could also play a role in reducing dual use. The increasing cost of tobacco prompted several participants to turn to vaping in the hope they would quit smoking completely and it is possible continued tobacco excise tax increases would further enhance vaping’s appeal relative to smoking. Further work should examine how existing smokefree policies could not only prompt vaping uptake, but support the full transition to exclusive vaping. This study was funded by the Health Research Council of New Zealand (16/149). Robertson L, Hoek J, Blank M-L, Richards R, Ling P, Popova L. Dual use of electronic nicotine delivery systems (ENDS) and smoked tobacco: a qualitative analysis. Tob Control. 2018. Fong GT, Hammond D, Laux F, Zanna M, Cummings K, Borland R. The near-universal experience of regret amoung smokers in four countries: Findings from the international Tobacco Control Policy Evaluation Survey. Nicotine and Tobacco Research. 2004;6(3):S341-S351. Wilson N, Edwards R, Weerasekera D. High levels of smoker regret by ethnicity and socioeconomic status: national survey data. New Zealand Medical Journal. 2009;122(1292):99-100. Ministry of Health: Tobacco Use 2012/13: New Zealand Health Survey. In. Edited by Ministry of Health. Wellington: Ministry of Health,; 2014. Hackshaw A, Morris JK, Boniface S, Tang J-L, Milenković D. Low cigarette consumption and risk of coronary heart disease and stroke: meta-analysis of 141 cohort studies in 55 study reports. BMJ. 2018;360:j5855. Hoek J, Thrul J, Ling P. A qualitative analysis of young adult ENDS users’ expectations and experiences. BMJ Open. 2017;7(3):e014990. Hoek J, Ferguson S, Court E, Gallopel-Morvan K. Qualitative exploration of young adult RYO smokers’ practices. Tob Control. 2016;26(5):563-568. This entry was posted in Uncategorized and tagged dual use, e-cigarettes, electronic nicotine delivery systems (ENDS), qualitative research, Smokefree Aotearoa 2025, vaping by dayhi34p. Bookmark the permalink.